For information on the registration process, please follow this link. In May and June of every year, families of children registered to attend kindergarten in September are invited to neighbourhood schools for a family orientation session. Families tour the school and meet a variety of school-based staff and local community service providers. Each family receives a Welcome to Kindergarten resource bag and is then provided with an opportunity to work hands-on with the resources in the bags. To learn when your Welcome to Kindergarten event is taking place, and to register your child, contact the secretary at your neighbourhood school. 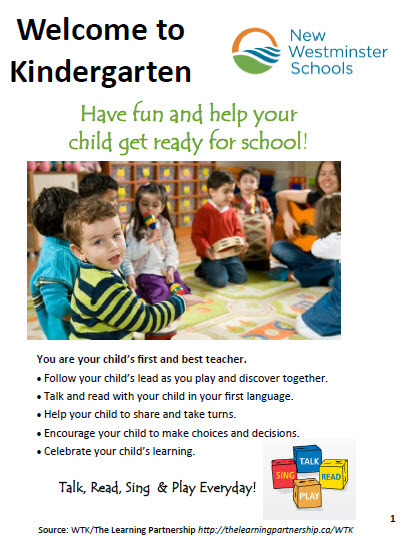 For tips on how to help your child get ready for Kindergarten, the attached brochure shares ideas for having fun and preparing your child for school. If you want to find out more information about Supports for Children with Additional Needs, please read the Transition to School: Kindergarten Entry in New Westminster handbook. 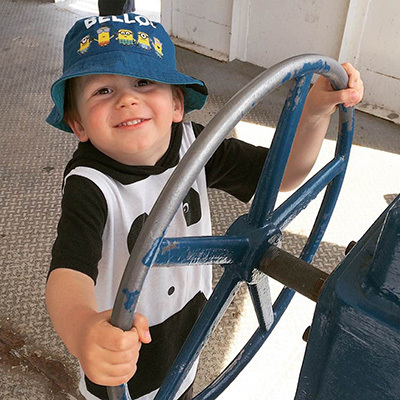 This handbook is the result of a collaboration between the District, Supported Child Development (Simon Fraser Society for Community Living) and BC Centre for Ability, and has been designed as a guide for parents of children with special needs who are transitioning to Kindergarten. Each January, parents are invited to a special intake meeting so that appropriate support plans are in place prior to the new school year. For more information visit The Learning Partnership website.